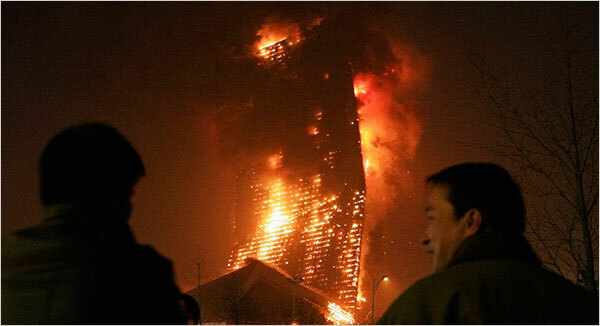 Sad news: fire destroyed the bent-tower hotel in the CCTV complex designed by OMA. The New York Times has video, too. More at ArchDaily.